The pan-Middle Eastern menu puts a modern twist on the classic dishes of Syria, Jordan, and beyond. Hours: Tue.-Sun. 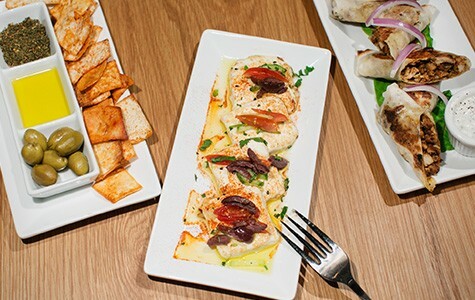 11:30 a.m.–9:30 p.m.
Zaytoon, a new Middle Eastern restaurant on Solano Avenue, is hard to pin down based on the usual categories that get applied to so-called ethnic restaurants. It's true, for instance, that the restaurant is more upscale in its appearance and price point than your prototypical shawarma joint — the Oasis Food Markets of the world. The restaurant boasts craft cocktails, attracts a largely non-Middle Eastern crowd, and, for the most part, doesn't serve anything that will push the average American diner too far outside his or her comfort zone. It would be easy, then, to dismiss Zaytoon as your standard-order, whitewashed Mediterranean dining establishment — a pleasant enough addition to the neighborhood, but nothing of interest to the more adventurous kebab eater. And yet, once you take a closer look at the menu, you'll find that the restaurant goes well beyond falafel and shawarma, serving a number of regional specialties that are rarely found in the East Bay — kubba from Syria, musakhan from Palestine, and mansaf from Jordan. Open since July, Zaytoon is the latest project from a group of restaurateurs who run several eateries in the UC Berkeley area, including La Val's Pizza, La Burrita (a Mexican restaurant), and D'Yar, which specializes in falafel and shawarma. At least two of the owners, Izat Eliyan and Haitham Salman (the chef), are Palestinians from Jerusalem. 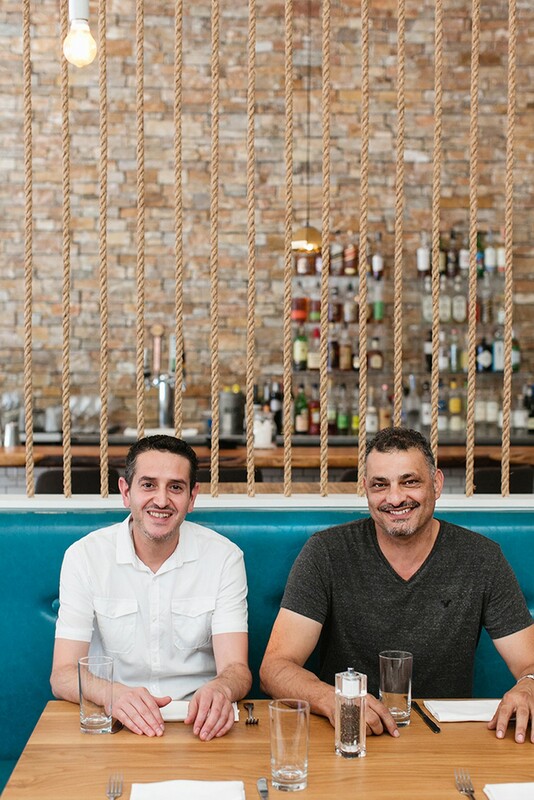 The two of them got to talking about how, despite the success of quick-service spots like D'Yar, the East Bay is home to so few sit-down Middle Eastern restaurants that offer a little bit more elegance — where you could enjoy a cocktail or a nice glass of wine with your meal. For something like that, you would typically have drive to San Francisco or Sunnyvale. Zaytoon is meant to fill that void. It has a full bar, sleek wood furnishings, and pleasant, Western-friendly service. (The staff always seemed to operate on the assumption that the diner had never, for instance, encountered moussaka before.) In truth, the dining room's sparse, wide-open layout left me feeling a little cold, like I was eating inside a Crate and Barrel showroom. But if you want to have a quiet conversation while you enjoy your meal, and especially if you're interested in trying some hard-to-find Middle Eastern dishes in a wholly unintimidating setting, Zaytoon is the place for you. Eliyan said that when he and his business partners designed the menu, they did so with full knowledge that the majority of their customers wouldn't be Middle Eastern. The trick, then, was how to bring the comfort foods of their heritage to a new audience without compromising the authenticity of the recipes. The basic conceit of the restaurant is a kind of culinary journey across the Middle East — a "pan-Middle Eastern" approach that includes several menu items that are the national dishes of their respective countries, with a couple of Greek and North African dishes mixed in for good measure. But given the crowd the restaurant expected to cater to, Eliyan said they decided to "modernize" several of the dishes. The musakhan, for example, is a classic Palestinian dish that normally consists of a half or quarter of a roast chicken served with sumac-seasoned sautéed onions and a ton of olive oil, all heaped atop a round of bread baked in a wood oven. According to Eliyan, it's a messy, oil-soaked kind of dish, traditionally eaten with one's hands. Salman took that basic idea and turned it into a kind of wrap. He slices boneless chicken thighs thin, cooks the meat on the griddle, and then wraps it up, along with the sautéed onions and the sumac, in a phyllo-like dough. The whole thing is cut into pieces on the diagonal and comes out looking something like a generously-stuffed spring roll or Indian kathi roll. It makes for a tasty, hearty appetizer, particularly with the sumac adding its characteristic lemony zing to the mix. Many of the most interesting dishes can be found in the appetizer section of the menu. In addition to the musakhan, there was kubba (aka kibbeh), a kind of torpedo-shaped fritter that's especially popular in Syria. The batter consists of cracked wheat and a little bit of ground beef and lamb, and each croquette is stuffed with more meat, along with a single pine nut, as is traditional. What you get: a fritter with a fantastically crisp exterior similar to what you'd find on a good falafel or Italian arancini. Another highlight was the Arabic cheese, which turned out to be a brined cheese that comes from a city on the West Bank called Nablus. It was served pan-fried, as it traditionally is, so what you wind up with is something flat and stretchy, with a texture somewhere between mozzarella and fried tofu, and a wonderful saltiness that is the cheese's distinguishing characteristic. The only embellishment was a little garnish of chopped olives, garlic, cucumber, and tomato, which added a welcome bit of freshness. According to Eliyan, it's a dish that reminds Palestinians of home, since it's what mothers would cook for their children before school, alongside some eggs and sardines — a combination that sounds so wonderful, I'm of half a mind to head to the Middle Eastern market this weekend to stock up on some of that nabulsi cheese. 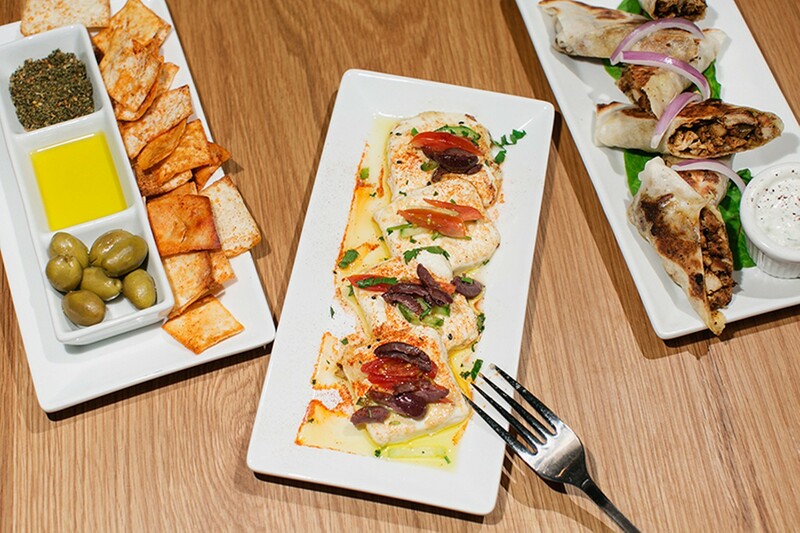 Every meal at Zaytoon starts with a complimentary spread of house-marinated green olives — fitting, since the word "zaytoon" means "olive" in Arabic. Here, too, the kitchen stays with its modern sensibility, serving the olives alongside extra virgin olive oil for dipping and, in a separate compartment of the rectangular plate, some za'atar spice mix. Instead of traditional pita, you scoop it all up with pita chips. The entrées, on the other hand, tended to be the least exciting part of the menu, though for the most part everything tasted perfectly fine. For instance, I'll probably stick to Oasis and other restaurants of that ilk when I want my kebab fix: Both the lamb and the Lebanese-style shish taouk chicken kebabs at Zaytoon were nicely charred, and the chicken was actually quite tender (the lamb was overdone). But everything just seemed a little bit too plain and underseasoned. Meanwhile, the moussaka, a dish that's often likened to lasagna, really tastes like lasagna here. It's a potato-less version that's heavy on the oozy melted mozzarella, but I would have preferred the gaminess of ground lamb (instead of beef) and a heavier hand with the warming spices that give the dish its characteristic flavor. My favorite entrée was the lamb-and-okra stew known as bamia, a tomato-heavy version with very tender pieces of lamb, served over rice. I wished it were spicier — none of the food I had at Zaytoon was remotely spicy — but it hit the spot after I doctored the stew with some of the Arabic chili sauce that's available by request. The dessert menu is all ice cream sundaes, basically, ranging from the fairly traditional (a halvah sundae with tahini) to the whimsical. The "crumbled baklava" that ended one of my meals was basically a giant scoop of vanilla ice cream served atop pieces of baklava, which were warmed up like an apple pie served a la mode. It was the perfect ending to the meal, at once new and familiar. Just don't make the same mistake I did and try to finish the whole thing by yourself.